There’s a strange thing about the law: even when it seems like a bright line rule is established by a court, or a statute appears to provide a hard and fast rule, there can always be circumstances that make a judge think twice about applying those rules as harshly as intended. If the law is intended to provide fairness and equity to society, then different applications of the law are inevitable. And so, in the case of MGM Constr. Services Corp. v. Travelers Casualty & Surety Co., 57 S. 3d 884 (Fla. Dist. Ct. of App. 3d Dist. 2011) we have yet another example of a court attempting to balance the old rules with the set of circumstances presented to it. MGM is considered a landmark case because the court reversed a trial court’s finding that a subcontract with an unlicensed drywall subcontractor was unenforceable. The basic facts are that the general contractor hired a subcontractor to perform drywall and stucco work on four projects in Miami-Dade County. During the course of the work, a dispute arose between the subcontractor and the general contractor, the subcontractor ceased performing work and filed Florida construction lien claims on each project. At the time the work was performed, the subcontractor did not possess a a specialty contractor’s license as required by the local construction ordinances issued by Miami-Dade County. 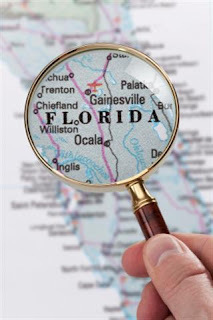 Litigation between the contractor and the subcontractor ensued, in which the general contractor sought causes of action for fraud, breach of contract, and asked the court discharge what the contractor alleged were the defectively filed Florida mechanics liens. In response, the subcontractor asserted an astounding thirty two (yes, that’s 32!) counterclaims, including breach of contract, conversion, fraud, lien foreclosure, etc. Included at that time were claims against the owner and the general contractor’s surety payment bond. On summary judgment, the owner, the contractor and the surety argued that the subcontractor’s unlicensed condition precluded it from bringing suit. The trial court granted the summary judgment motion, finding that the subcontractor’s failure to maintain a license violated the ordinance requirements, rendering the agreement (at least as enforced by the subcontractor) void as against public policy. The case was appealed. The appellate court initially determined that section 489.128 of the Florida Statutes, rendering contracts with unlicensed contractors unenforceable, only applied to state licenses and had no bearing on local licenses like drywall. The Third District Court of Appeal held that the trial court erred in summarily determining that the subcontract was unenforceable based solely on the lack of a local license. Unlike section 489.128, the ordinance was silent about the effect of a licensure violation on the enforceability of the underlying contract, though it did provide for civil, administrative, and criminal penalties for unlicensed contracting. While the Third District Court of Appeal summarily held that the amendment to § 489.128 prevented the defendants from relying on that statute, their opinion did not end there. The court went on to hold that, where the Legislature has not added the penalty of non-enforceability to a licensing provision, the courts may nevertheless still do so after weighing the relative strength of the policies behind the local licensure requirement and any competing policies of injustice. With regard to the local licensure defense, the appellate court remanded and directed the trial court to consider, at a minimum, the following relevant and material factors to determine whether the subcontract was unenforceable: (i) whether the nature of the contracting parties’ relationship made the need to protect the public from shoddy workmanship; (ii) the extent to which the subcontractor’s violation of the MDCO was serious and deliberate; (iii) the quality of the work performed by the subcontractor; (iv) whether the Contractor knew the subcontractor was unlicensed; and (v) whether and to what extent injustice would result in preventing the subcontractor from any recovery. Pay if Paid v. Pay When Paid Clauses – Which is Which and Who Cares?